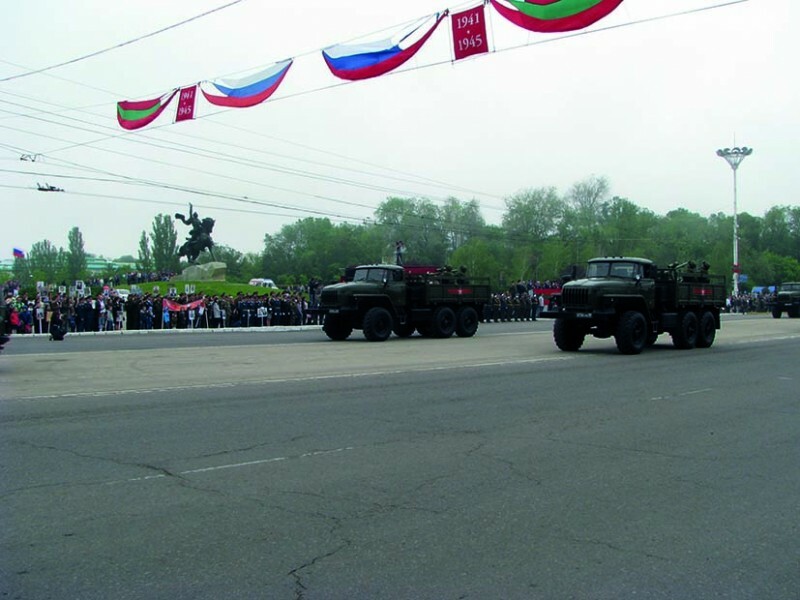 How about celebrating on 09th of May – the Victory Day with military parade in a non-existing soviet country? Strange, isn’t it? 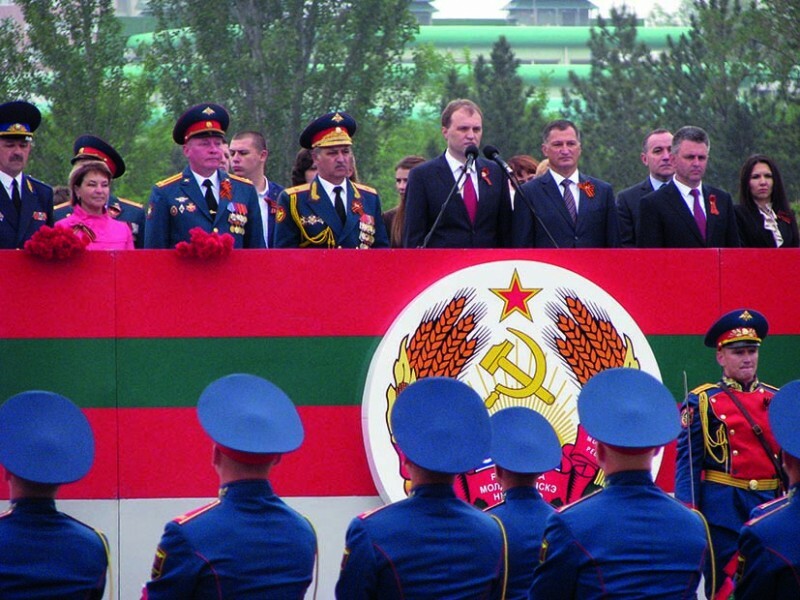 Strange, but possible… Transnistria is one of the former Soviet Union’s original “frozen conflicts”, and a template for later Russian-backed disputes including Eastern Ukraine. 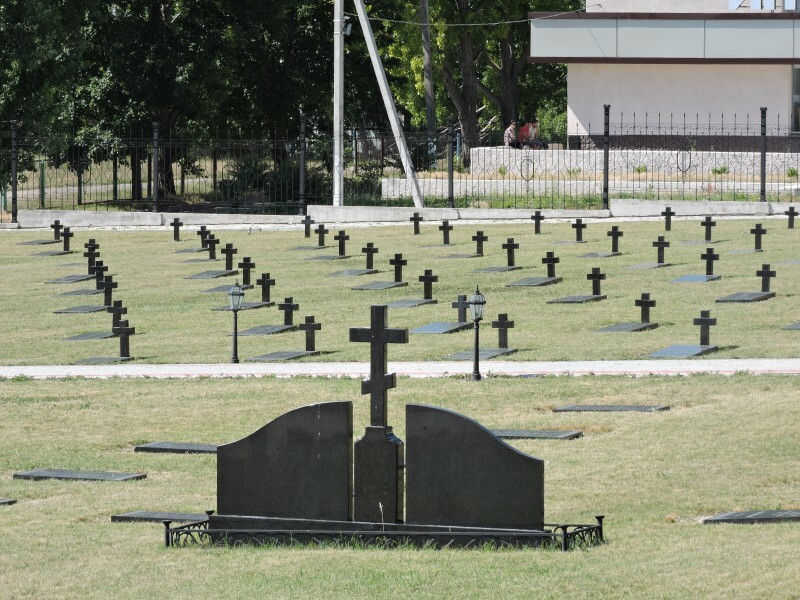 It has remained unrecognized by any states other than Abkhazia, Nagorno-Karabakh and South Ossetia after its 1992 war of independence from Moldova. 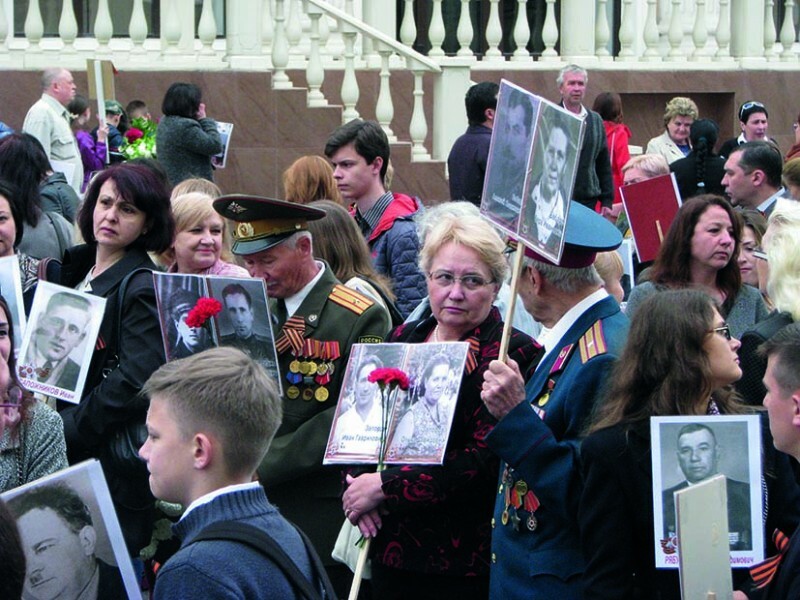 Each year on 09th of May Transnistrians stage an elaborate Victory Day celebration in the capital Tiraspol to remember the victims of WWII, known as the Great Patriotic War. 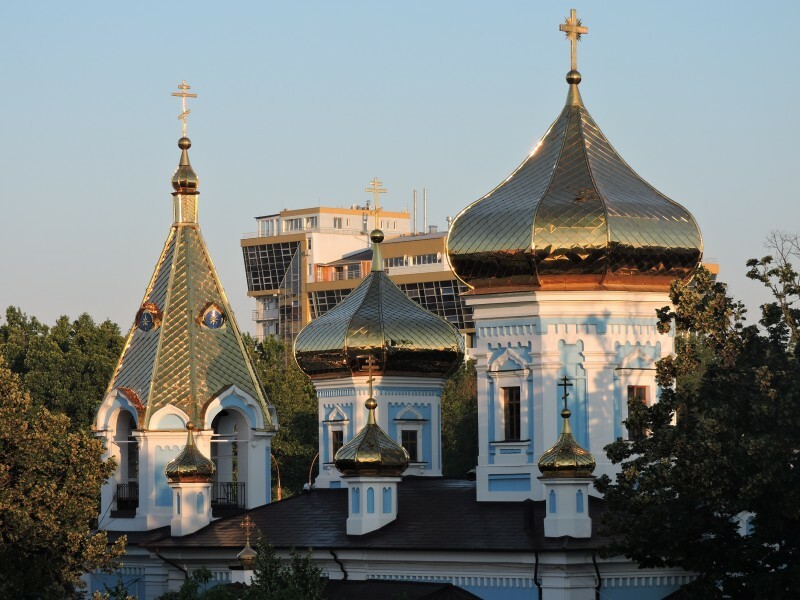 So let’s go and see how they celebrate, meet locals and talk to them, visit their capital Tiraspol, understand their religion – Russian orthodox, see their country, history and discover how they live and what they have to offer. 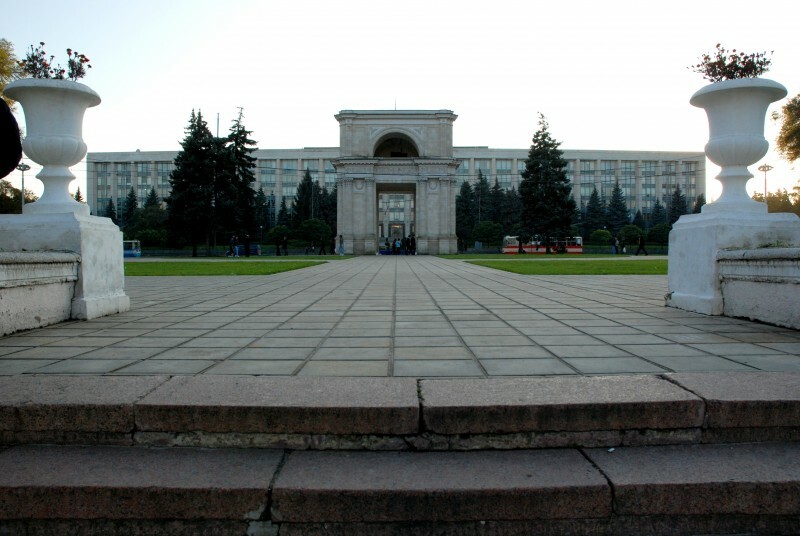 Arrival in Chisinau or in Bucharest ( and you will be transferred from Bucharest to Chisinau on the 01st of September by car/bus). Welcome dinner and presentation of the tour. Accommodation at a 4* hotel. 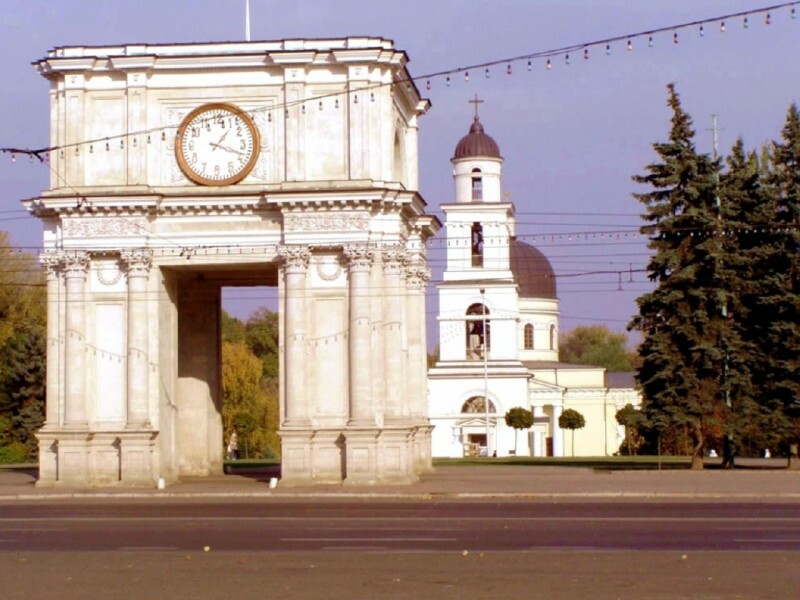 Chisinau – Cricova – Tiraspol. 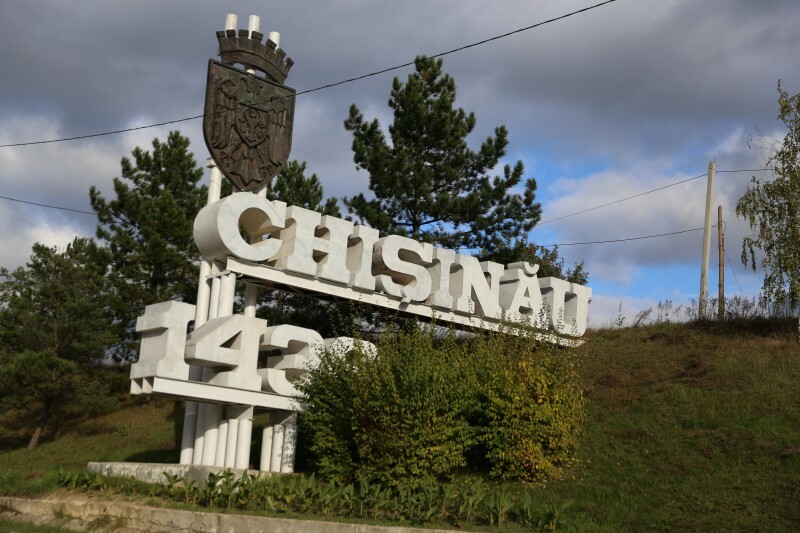 Morning we will start a short city tour of Chisinau. Around 11.30 am we will depart to Cricova. 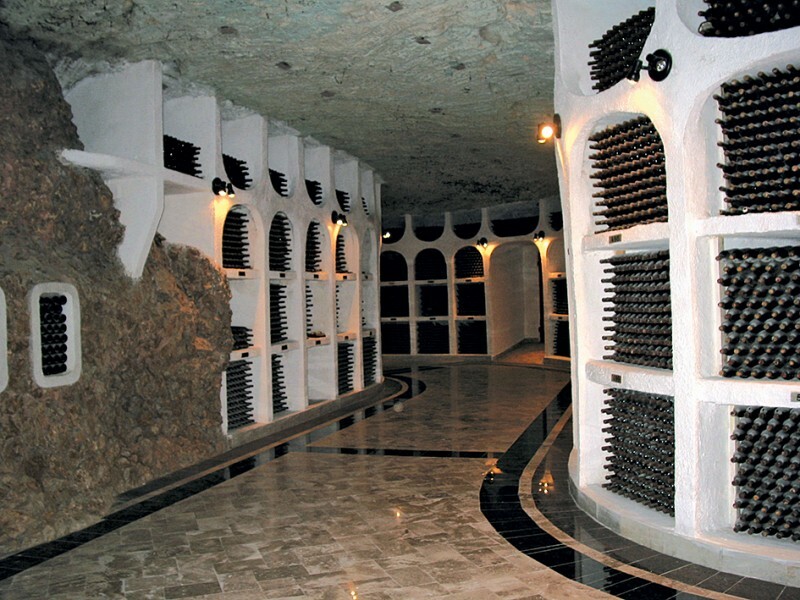 You will visit one of the biggest underground wine cities from Europe – “Cricova” – opened in the 60′-mainly the only good thing left after the soviets. (Wine tasting+lunch). 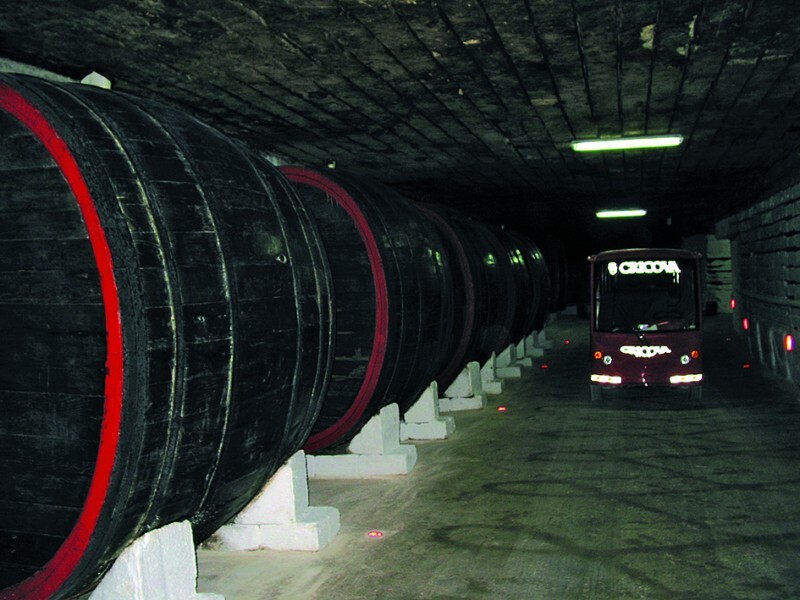 Cricova boasts nearly 120 km of underground tunnels that are large enough for vehicles to drive through. 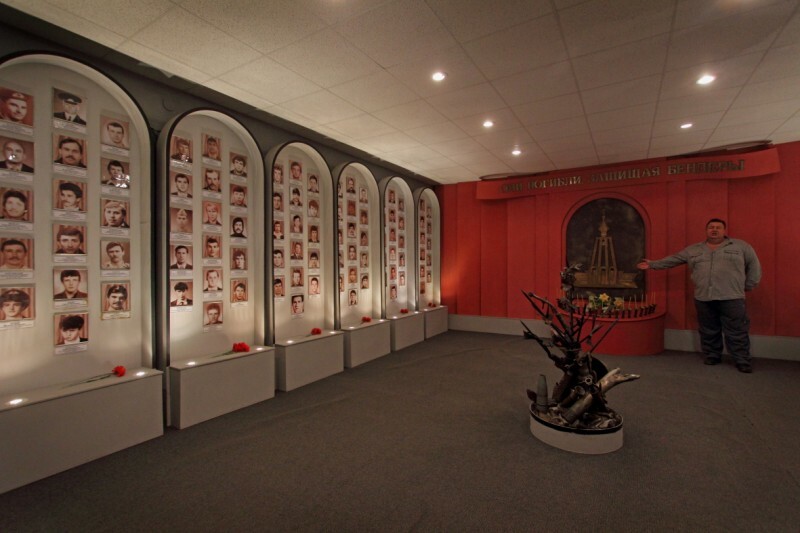 At the deepest point, the tunnels are 100 m below the ground. 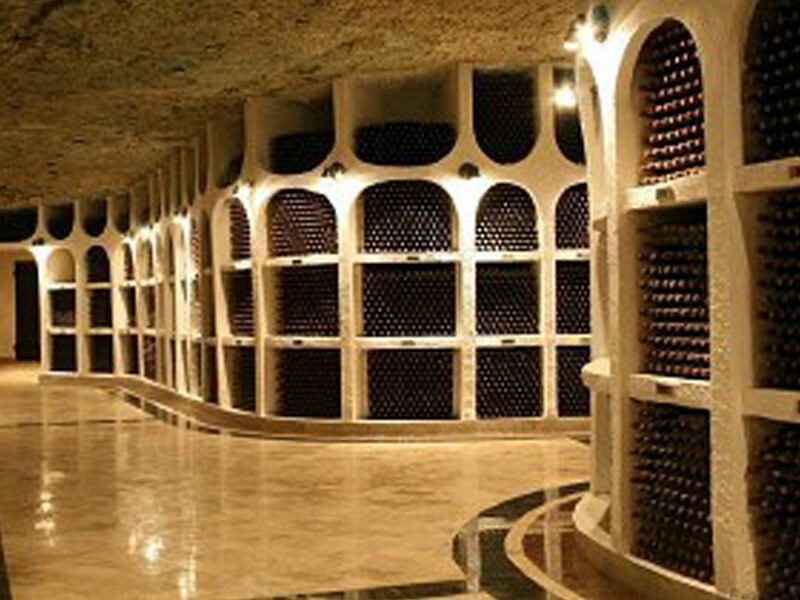 The natural limestone helps to maintain a constant temperature of 12-14 C (54-57 F) and humidity of 97-98 percent , creating optimal conditions for storing wine. 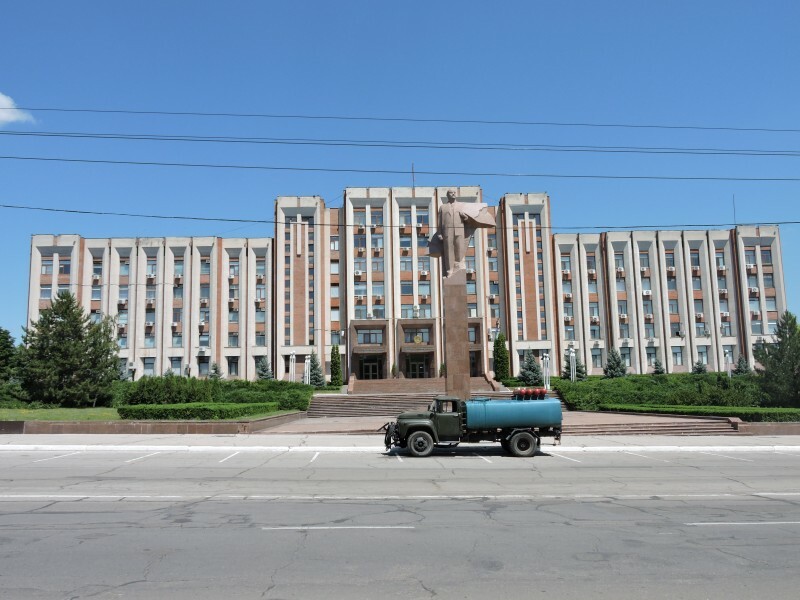 Around 16,00 departure to Tiraspol, dinner and accommodation in a 4* Hotel. 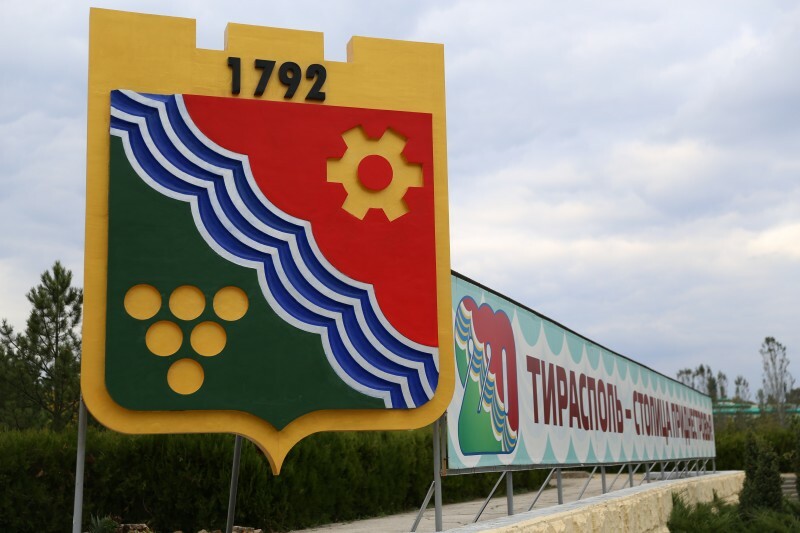 Today we invite you to discover TIRASPOL (capital of Transnistria) – the old USSR is still alive and well in Transnistria. 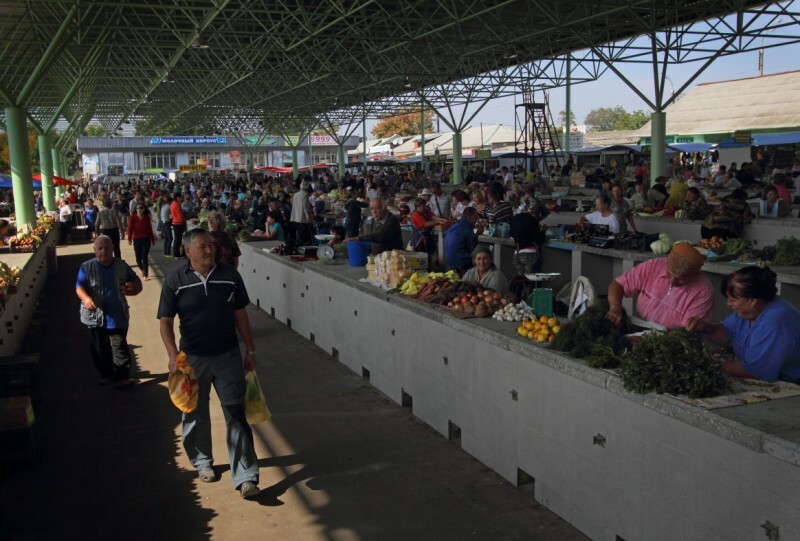 It is a breakaway territory within the internationally recognized borders of Moldova. 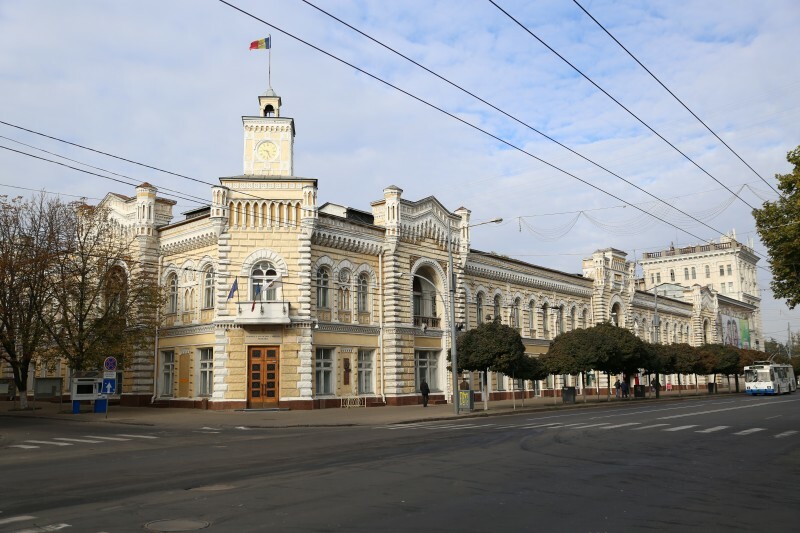 Although not recognized by any state or international organization, it is de facto an independent state named the Pridnestrovian Moldavian Republic. 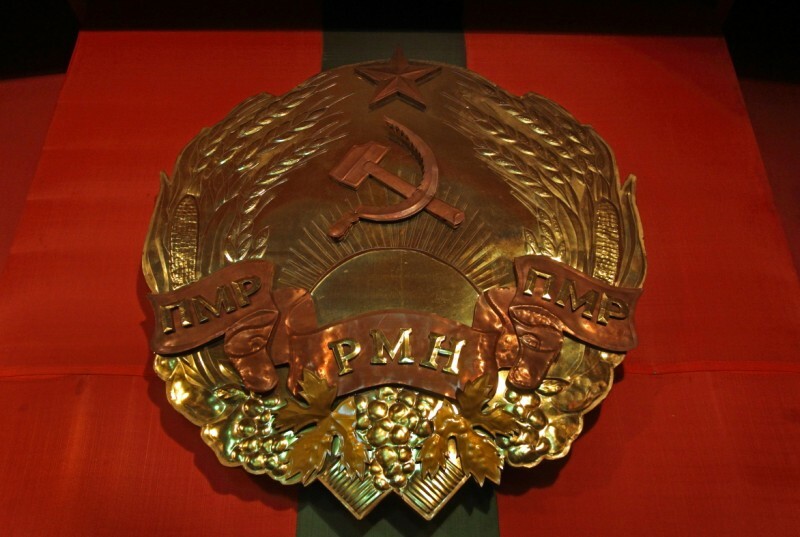 The country’s national coat of arms still includes the traditional hammer and sickle and the Lenin statue hasn’t yet been pulled down. 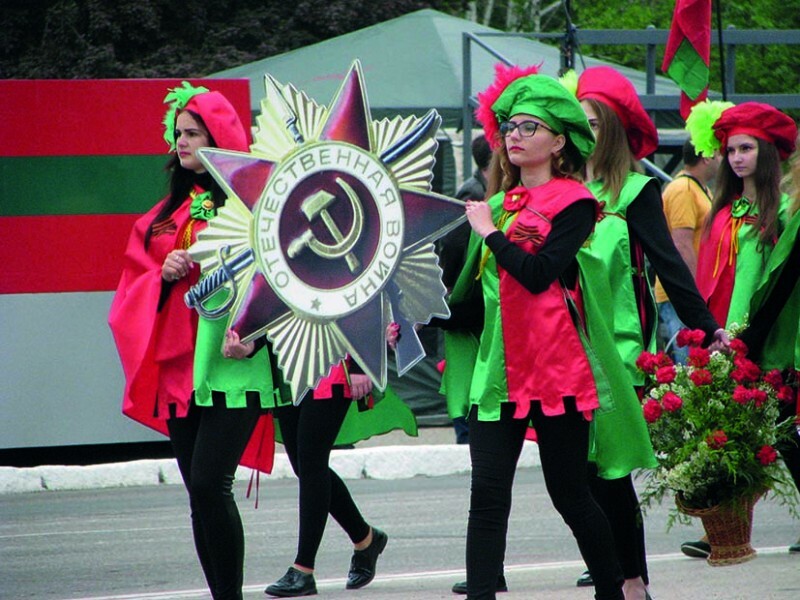 The Pridnestrovie today may still retain the look of a Communist state and it’s called “the last remaining Stalinist dictatorship in Europe”. 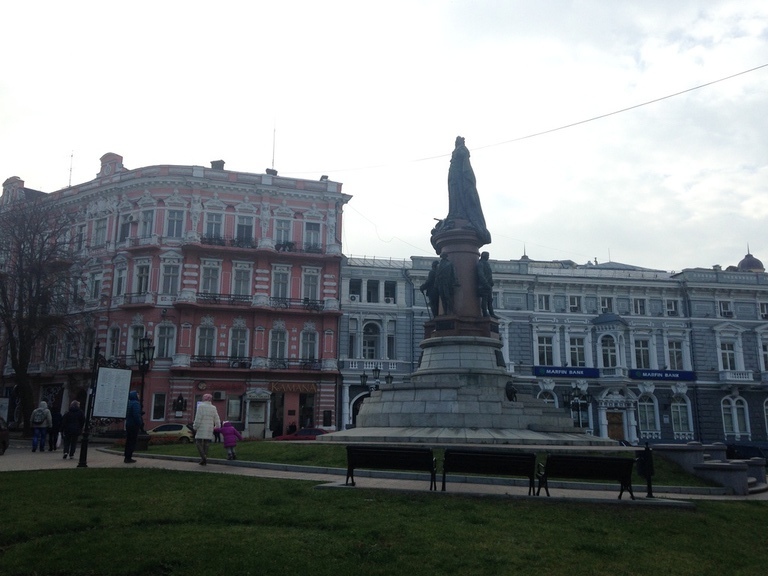 We will enjoy a visit to the main street with its parliamentary building boasting a relatively new Lenin statue. 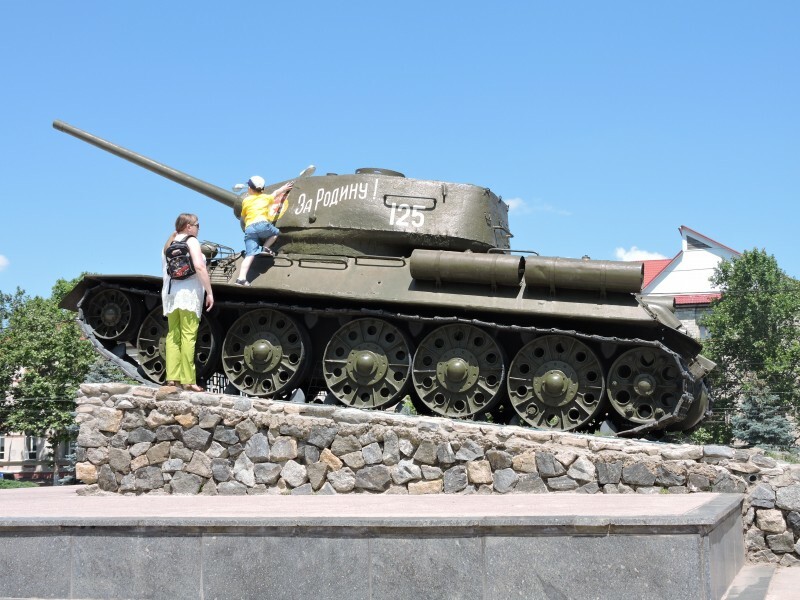 Opposite, a T-34 tank from the Great Patriotic War era forms part of a monument which also contains soil from the pivotal battle of Stalingrad. 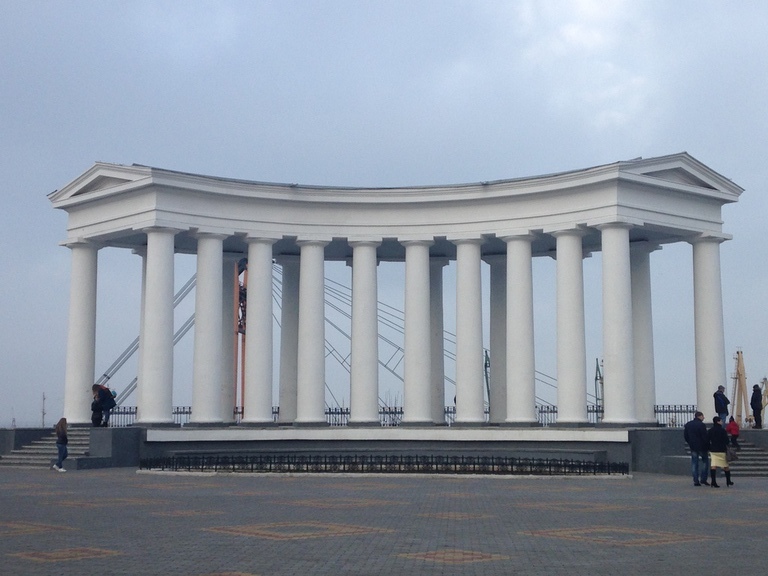 You probably won’t miss the Soviet-style banners either! 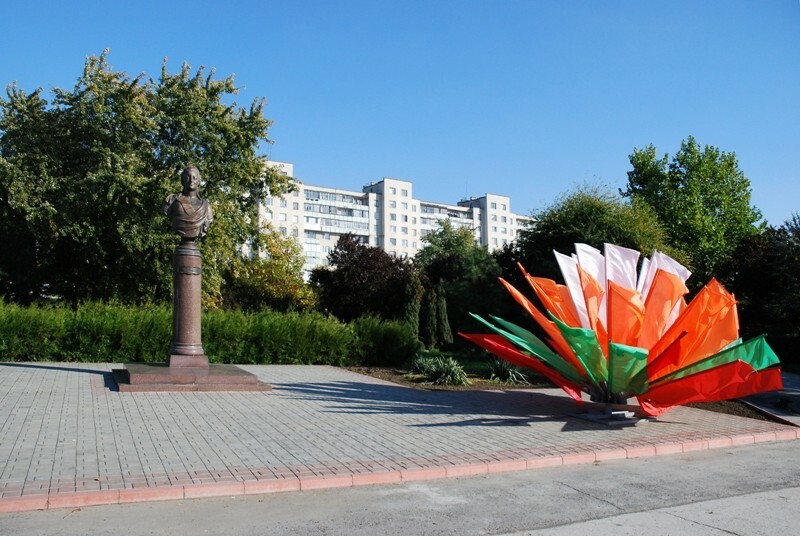 Contrary to popular perceptions, Tiraspol is a quite and peaceful city with no military activity since 1992. 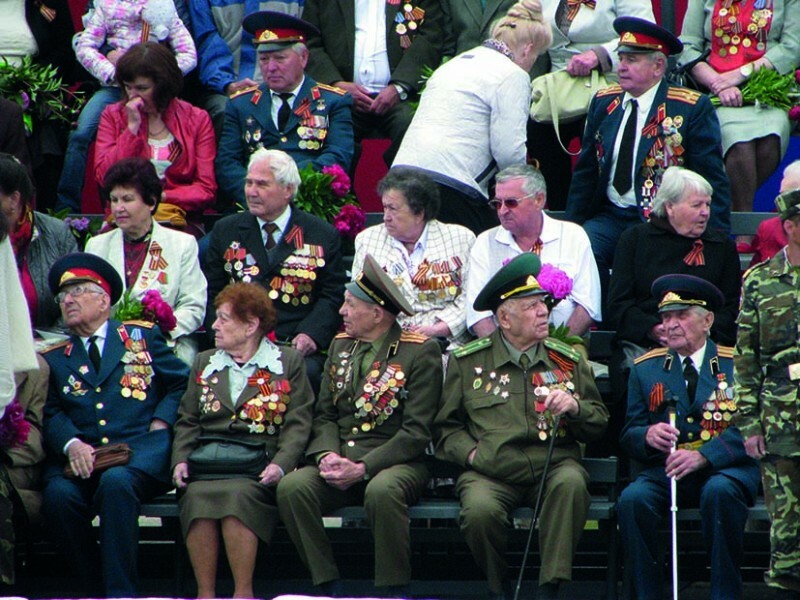 The only people in uniform you will usually see are military officers and policemen. 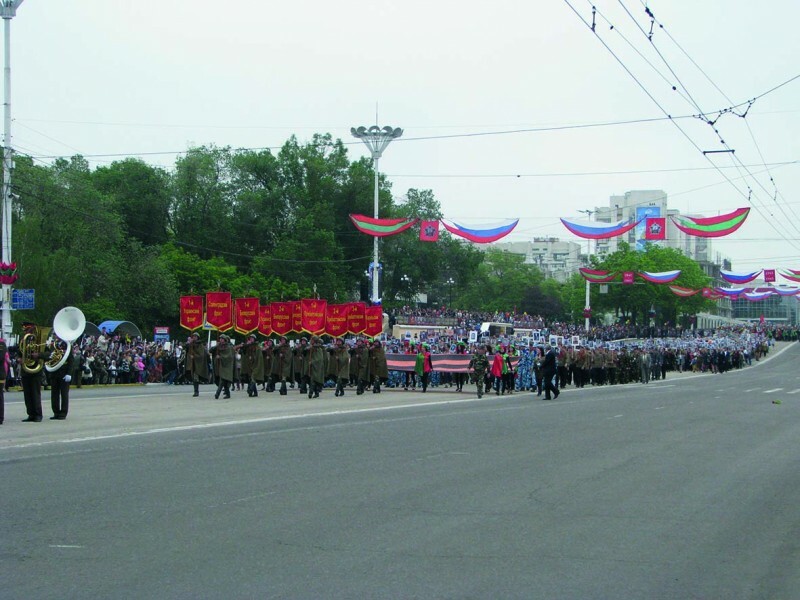 Military parades are held annually on Independence Day (2 September) and on Victory Day (9 May). 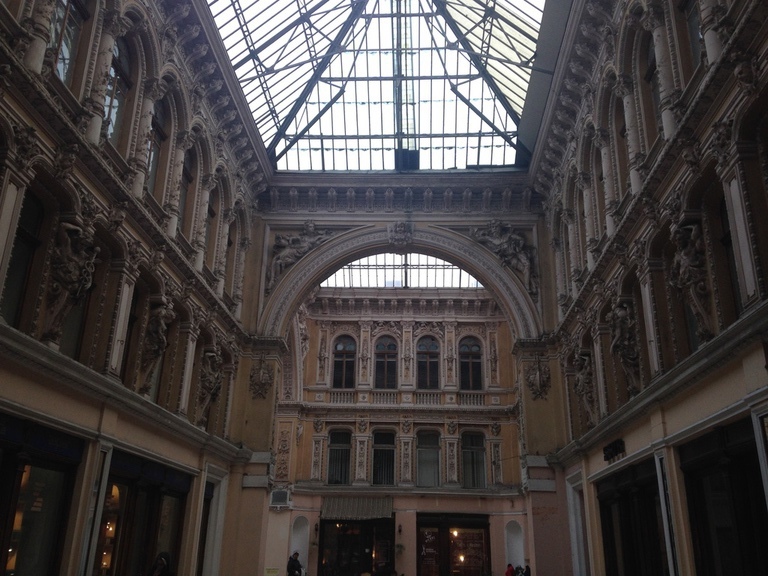 Discover the inside part of this country. 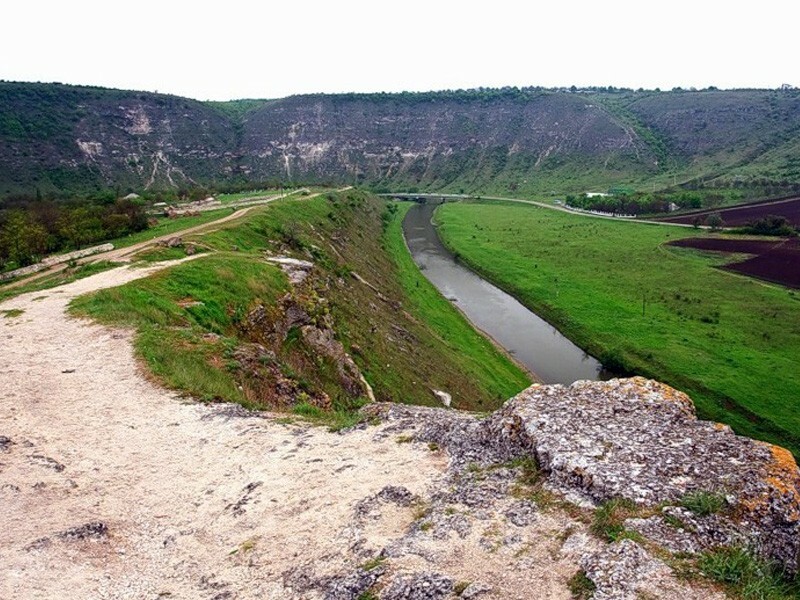 Today we will discover the inside part of this country.We will drive towards the north, along the Dniester River. 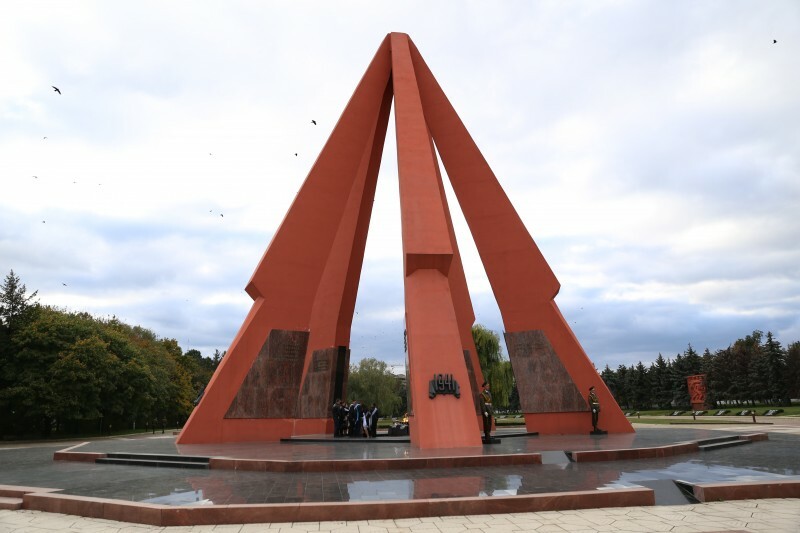 You will be amazed about the communist monuments still to be seen in villages and small towns like Grigoriopol, Ghidirim, Dubasari, Ribnita etc. 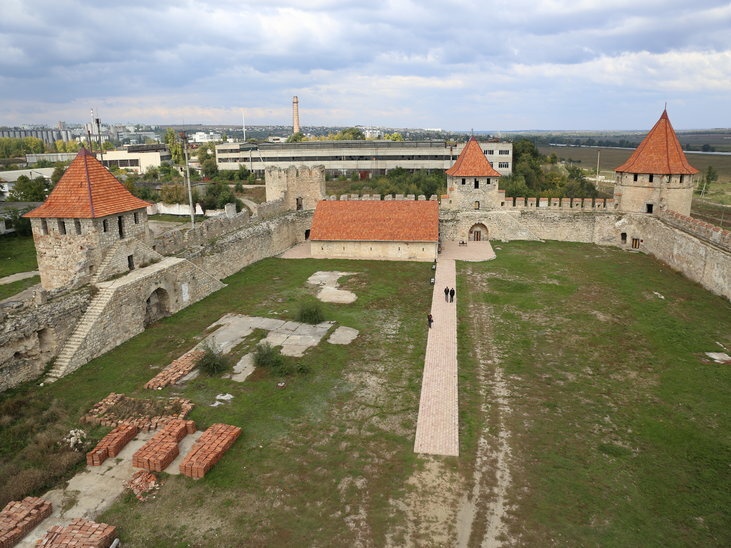 We will stop in Dubasari and we might meet the Rabi and discuss about the Jewish camp built here in WW2, may be even visit a alcohol factory and discuss with the management about their problems. Lunch on the way to a local family. 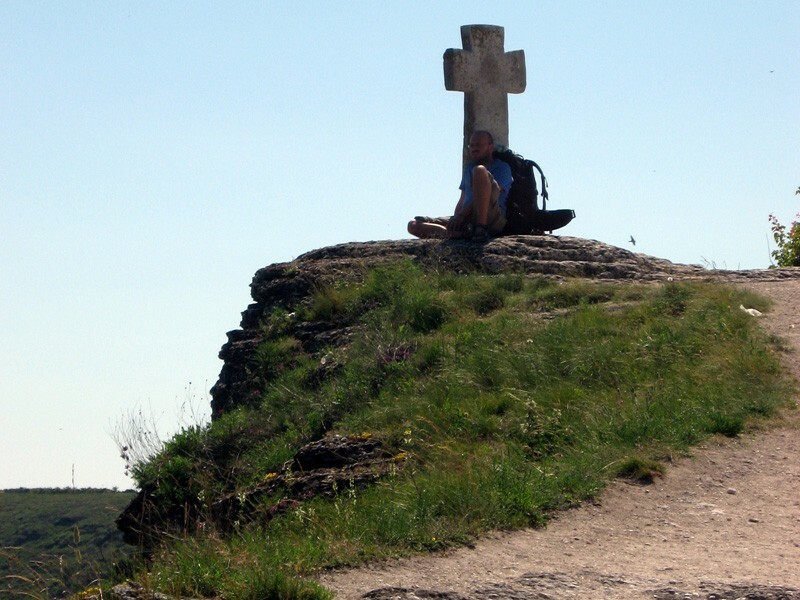 The highest point will be the city of Kamenca, the city built by gen.
After breakfast we drive to Odessa via New Neamt monastery. 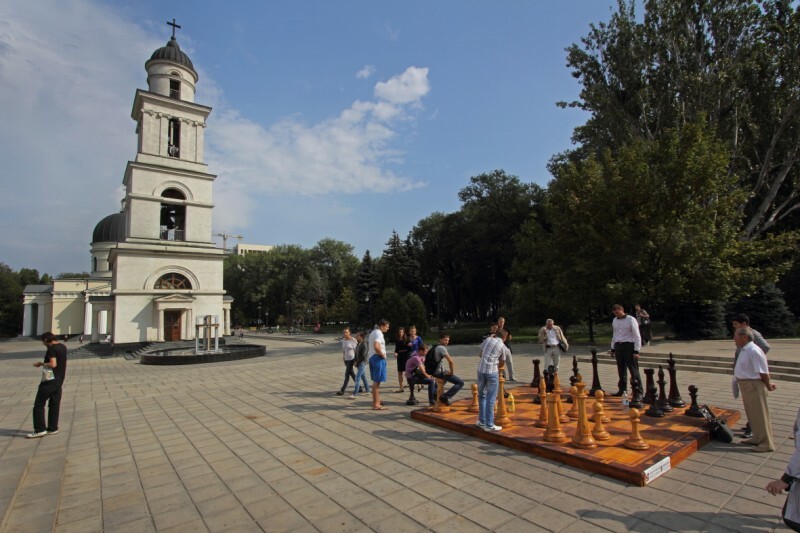 New Neamt Monastery is an Orthodox monastery, located on the Dniester River the edge Chitcani village, only 10 km to the south of the town Bendery. 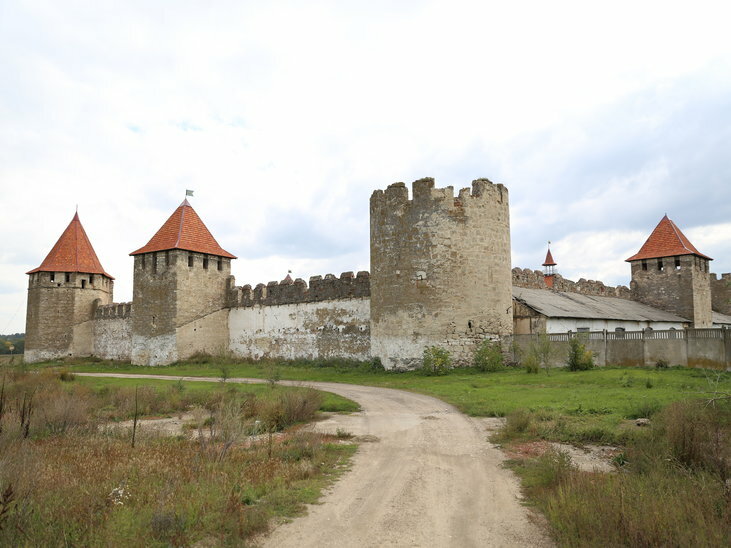 This monastery was founded in the reign of Alexandru Ioan Cuza. 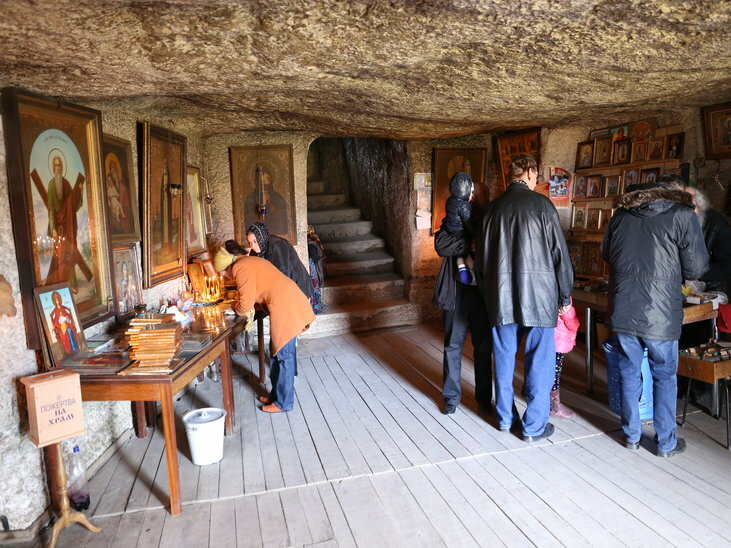 A local monk will guide us around, showing the monastery library, give us wine from the Monastery Cellars and explain us how religion survives in the Last Soviet Frontier of Europe. 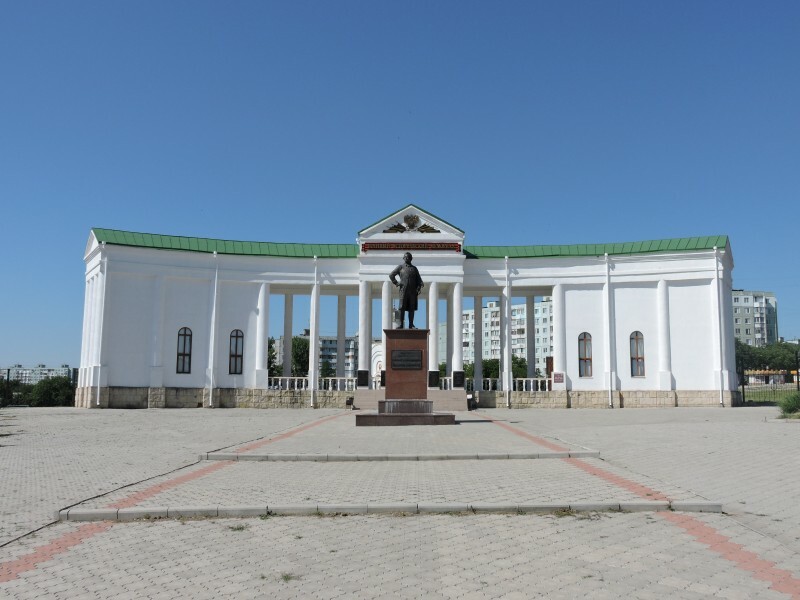 Travel from Transnistria to Odessa. 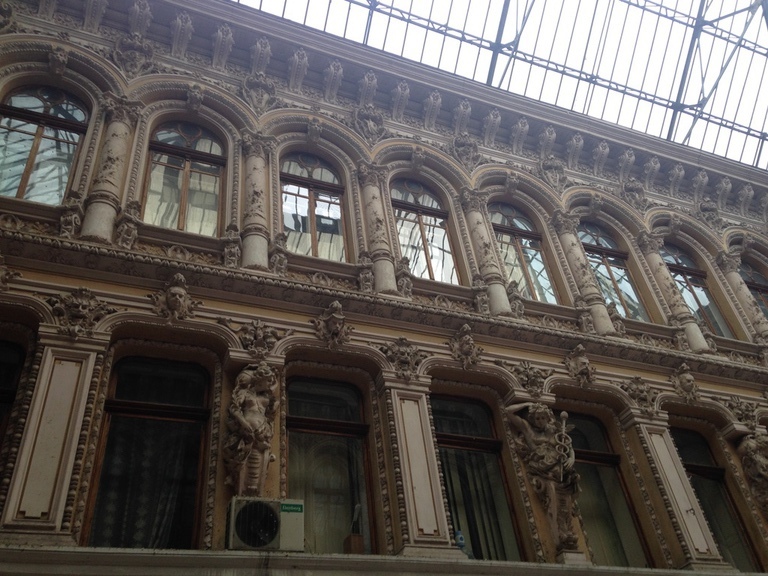 Destination time: 1.5 hour (not including customs). 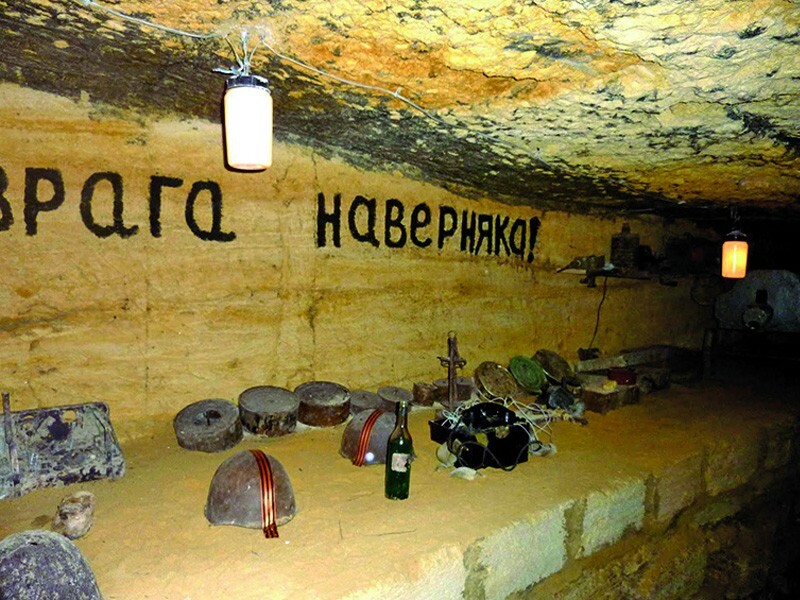 Odessa underground tunnels (catacombs) were created nearly 200 years ago during mining of building materials that were used to build the city. 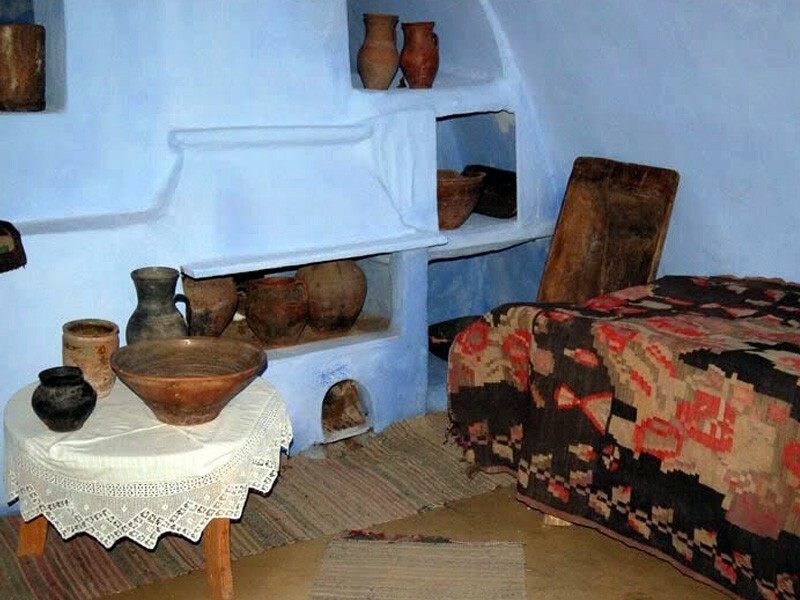 Currently it is the maze of 2.500 km (4000 km according to some records) underground, in a real parallel world, with hundreds of entrances, exits, caves, and tunnels. 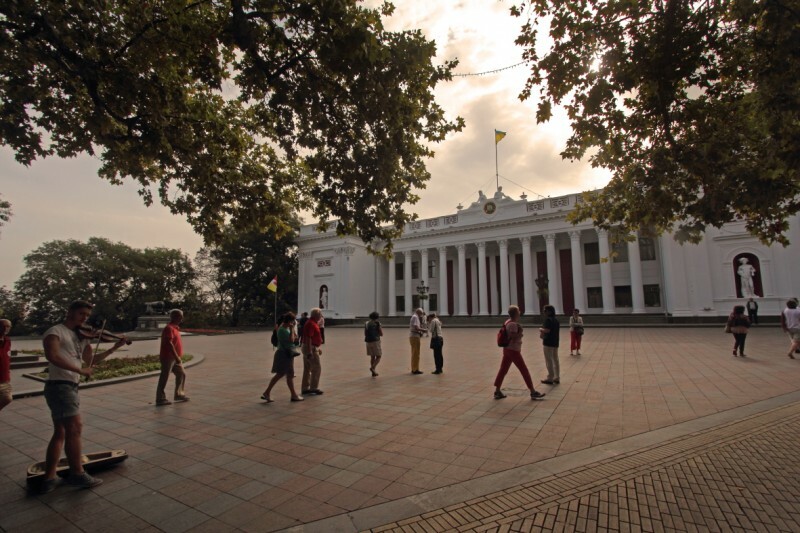 During the World War II, in 1941, when German and Romanian army occupied Odessa during the war, the Soviet Military headquarters gave the order to organize the partisan resistance. 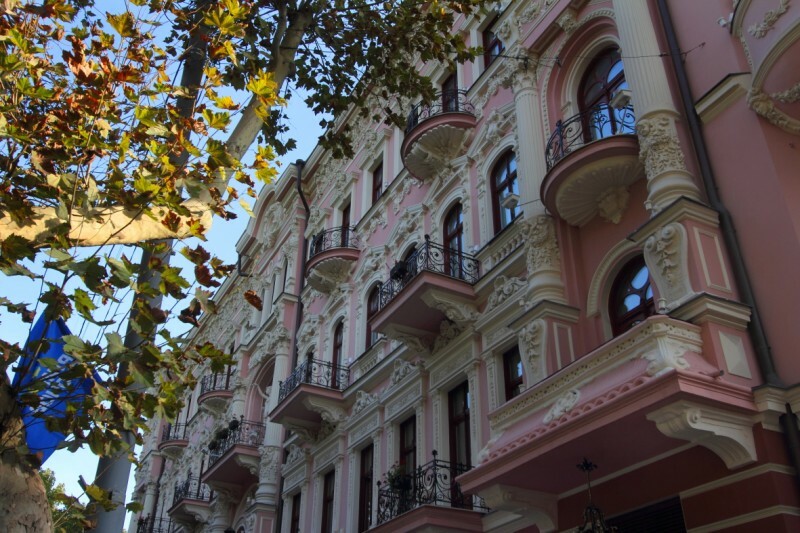 Odessa is acknowledged Ukrainian intersection point of diverse cultures, languages and trades. 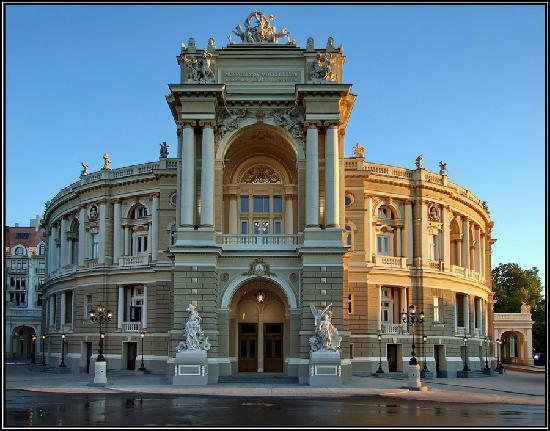 You will be able to witness masterpieces of architecture, such as famous Opera and Ballet theater, designed by Viennese architects, Potemkin Stairs, Primorsky boulevard, the One-wall building. 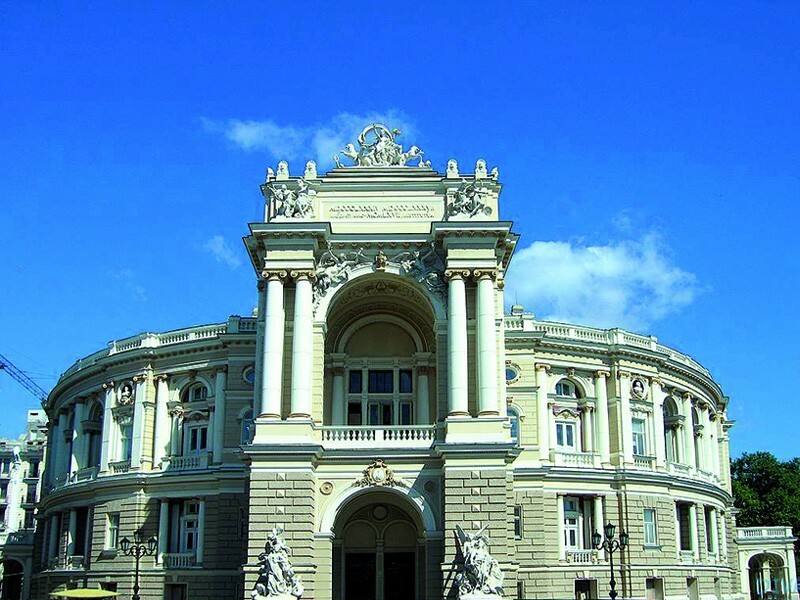 You will also enjoy the view of Sea Port Terminal, get acquainted with Odessa Port’s history, its present life and prospects from the upside, see the Monument to Duke De Richelieu and the statue of Catherine the Great empress – the founder of Odessa. 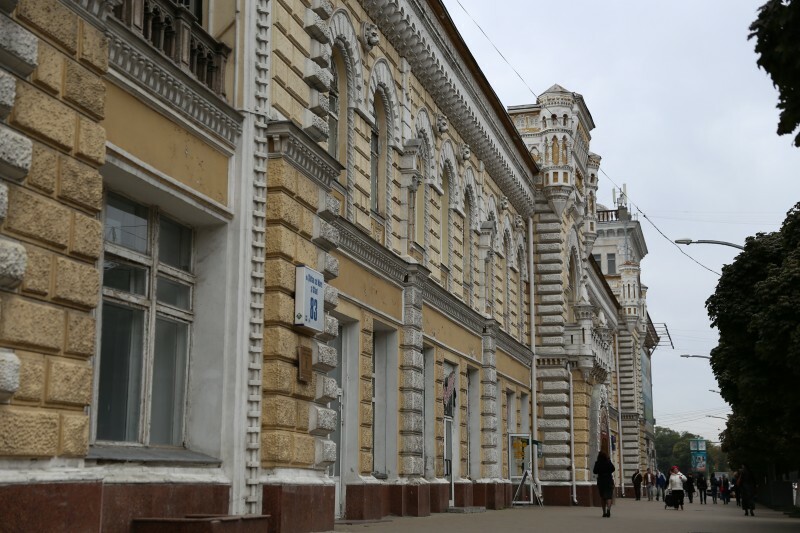 At the core of Odessa Jewry’s commercial and cultural elite in the 1820s were emigrants from Galicia – mostly from Brody – who first opened branch offices and then moved to Odessa, working mainly as middlemen in the grain trade. Some merged as leading grain exporters. 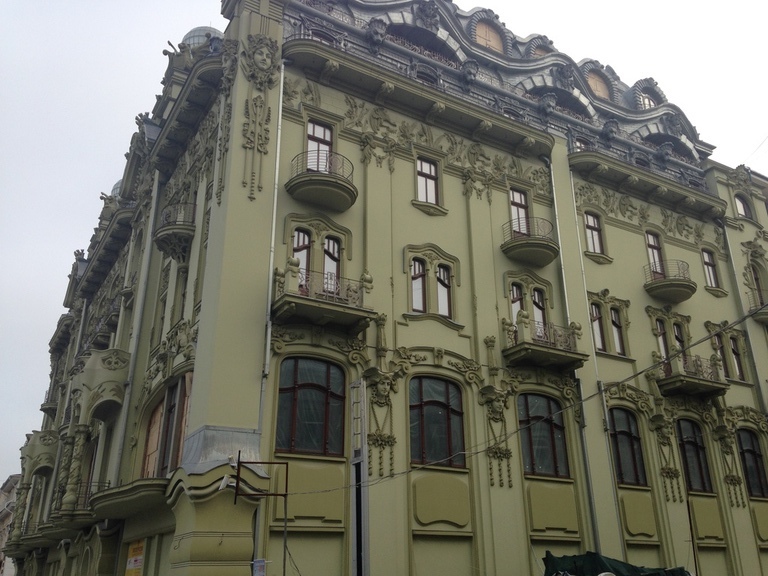 About 300 Galician Jewish families settled in Odessa in the 1820s and 1830s; the Rafalovichs and Efrusis, as well as a small cluster of other families of Galician origin, eventually represented the apex of local commercial life. 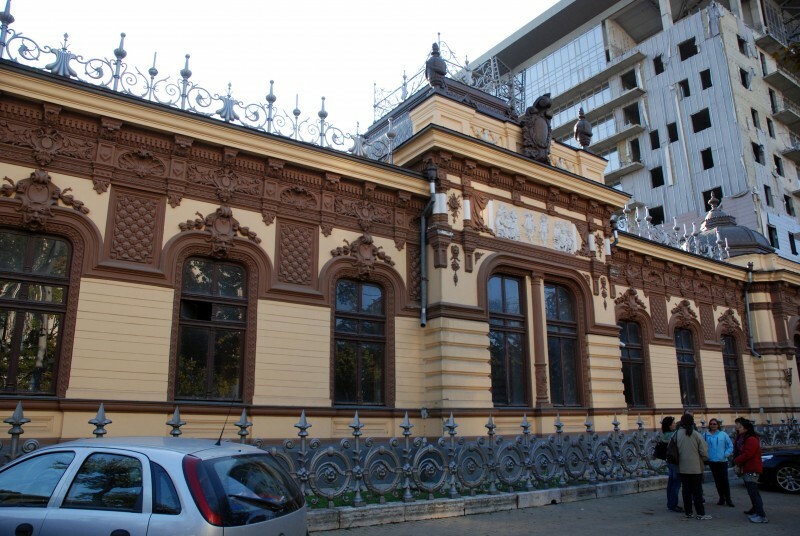 Galicians soon assumed communal leadership, overseeing local synagogue life and launching the city’s first modern Jewish school. 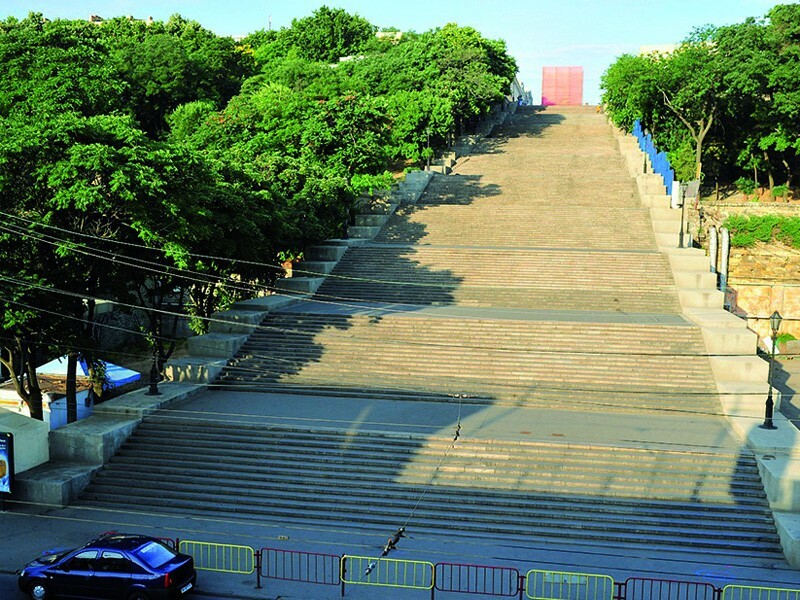 Statistics on the city’s immediate postwar population are imprecise, but as many as 180,000 Jews were living in Odessa- the vast majority recent arrivals-as of the late 1950s. 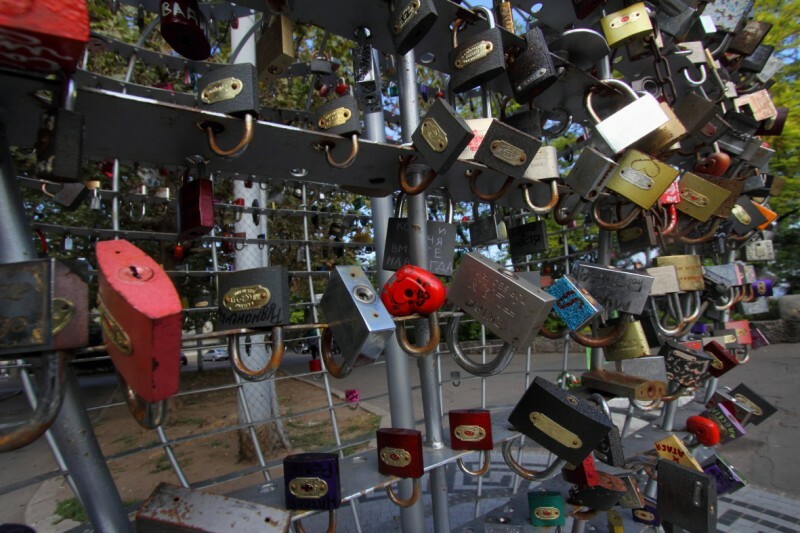 In 1970, the Jewish population was officially listed as 116,087, representing 13 percent of the total. 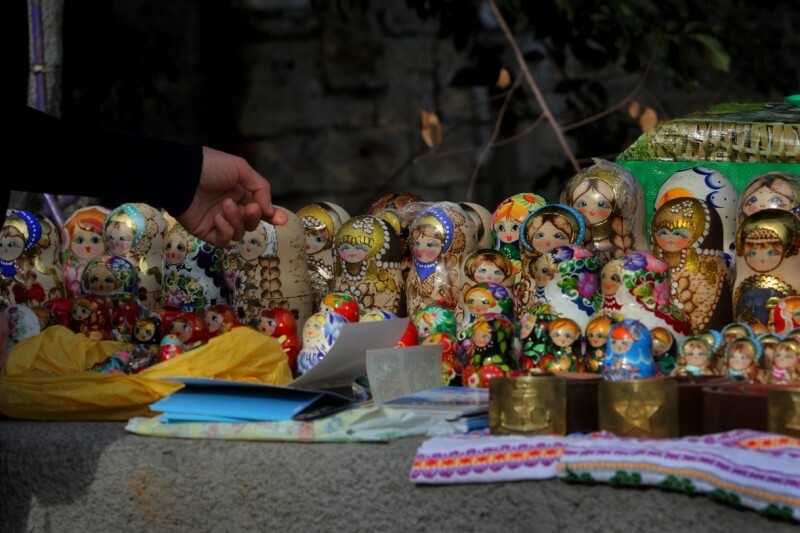 Since the time of Peter the Great ( who governed between 1689 and 1725), several Swiss people have left traces in Russia – engineers, business people and scientists, teachers, clerks and officers, cheese makers, bakers and watchmakers. 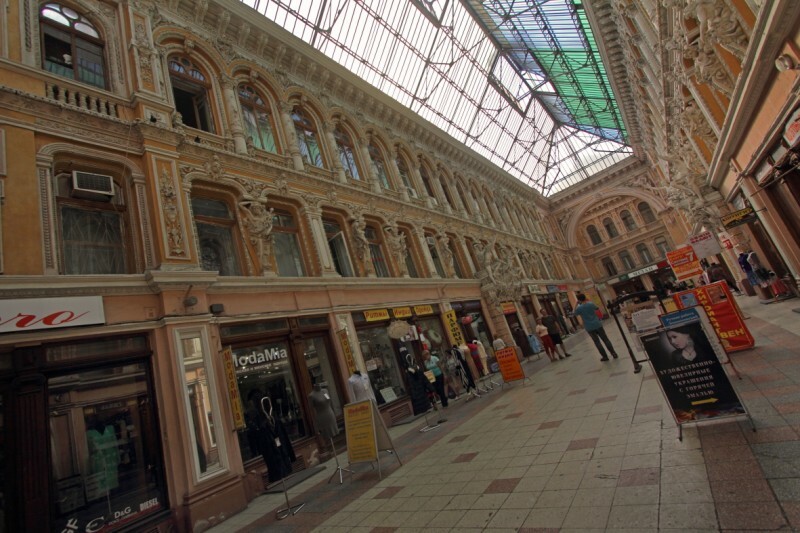 In addition to these folks with special skills or trades, all respected and in high demand in the Tsarist Empire (roughly 7,000 to 8,500 up to World War I), in two cases whole groups of impoverished Swiss emigrated to Russia, in order to flee from economic misery and to create a new life as farmers in Tsarist Empire. 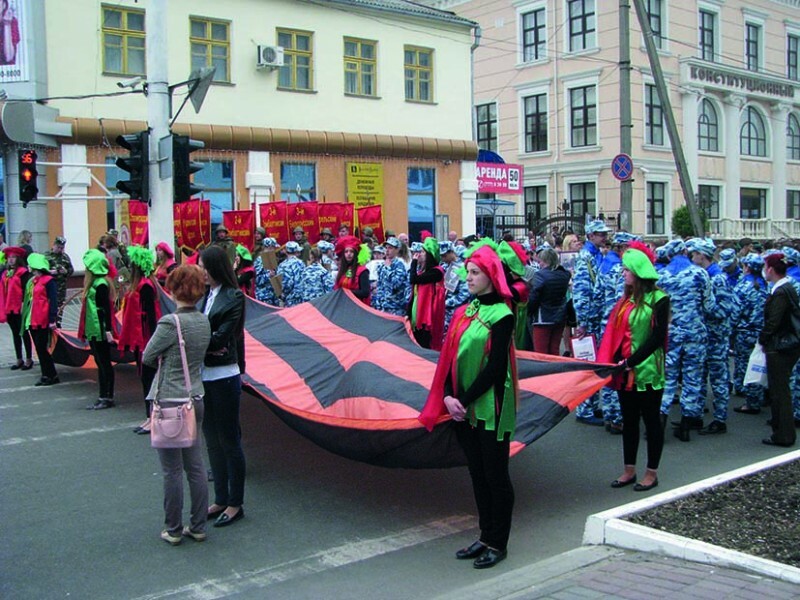 And thus sprang up the Swiss colonies of Zuerichtal on Crimea (founded in 1850) and Sabo in Bessarabia ( founded in 1821/22, SW of Odessa near the Black Sea. 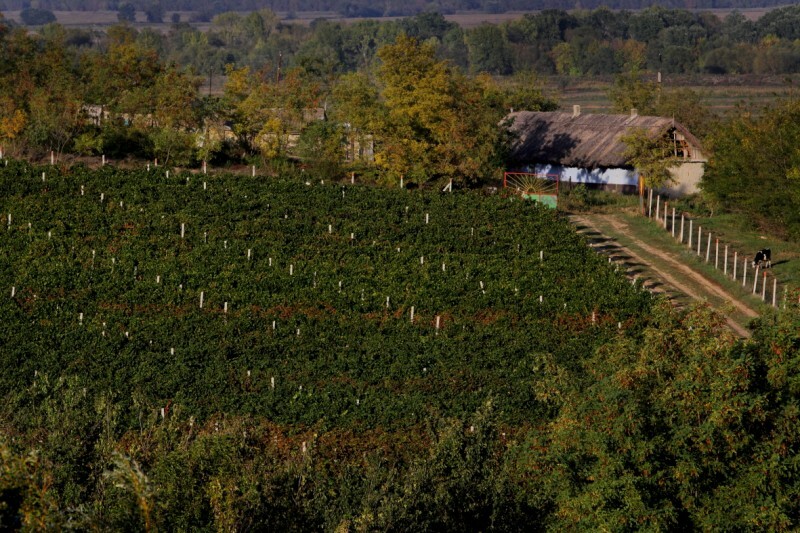 Today newly revived Shabo winery is a slick modern operation, but its owners – Georgians from Odessa – are absolutely obsessed with the place’s Swiss heritage. 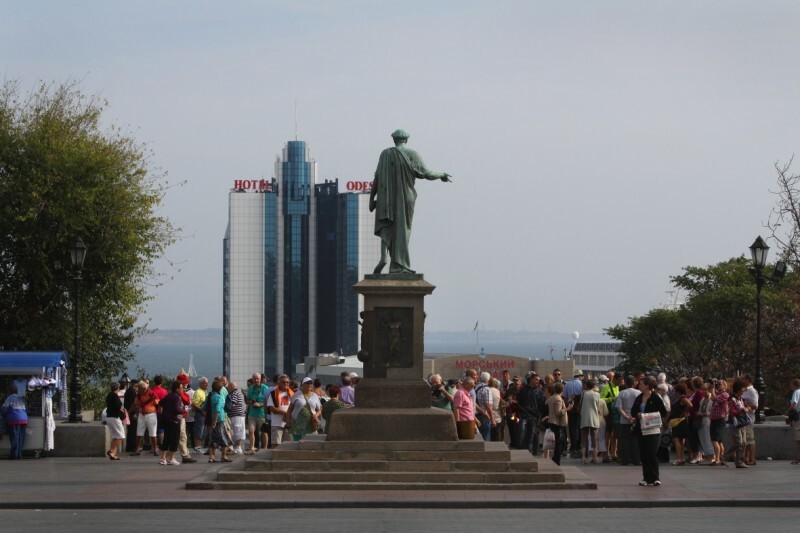 Although conducted in Russian, tours of the winery are interesting and fun. 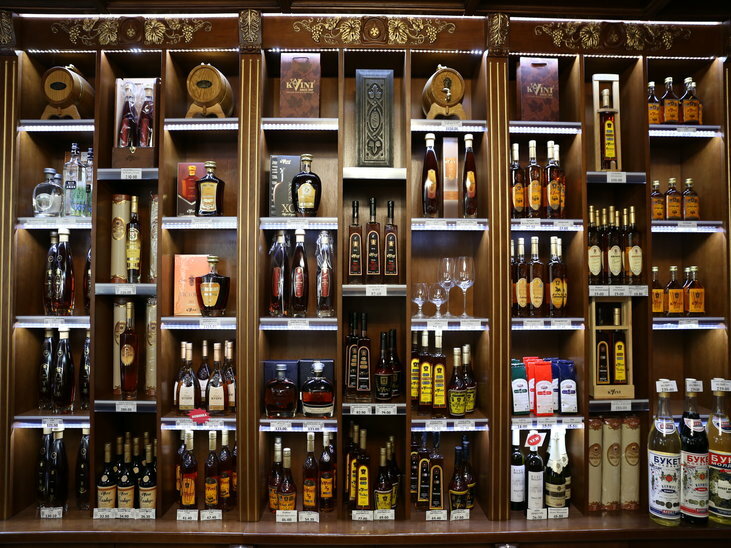 You’ll see 200-year-old cellars – look out for the Romanian king’s autograph on the wall, an entertaining museum which contains objects from Bessarabian-Swiss households, and a great silent movie taking viewers through all stages of wine production. 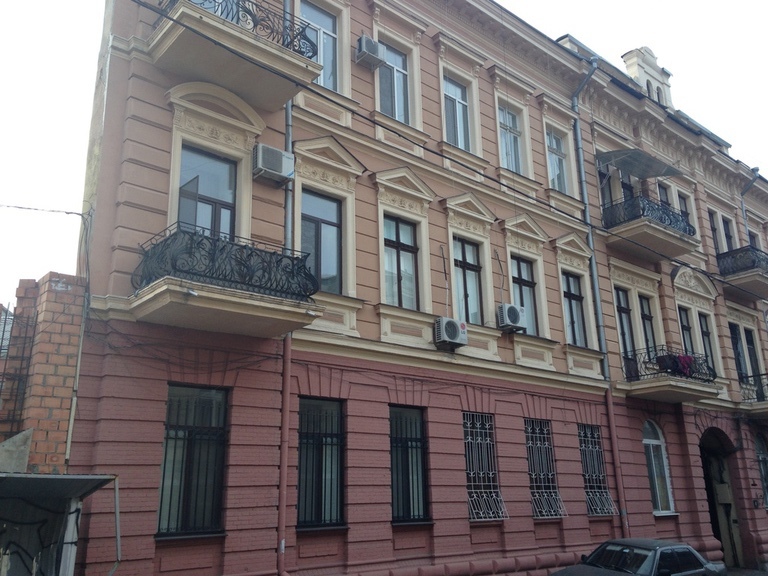 Departure from Odessa or return to Chisinau and departure from Chisinau next day.